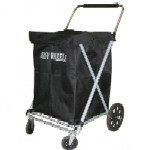 This heavy duty, Nylon Liner provides the added benefit of protecting your items while in your MiniMate Folding Shopping Cart. It’s an all weather liner featuring a drawstring closure on top, a reinforced bottom, and an adjustable strap handle. 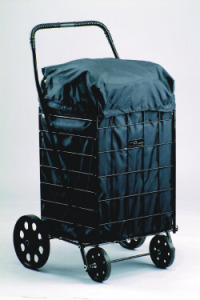 Use this handy Nylon Liner to protect your items inside your shopping cart; or use it as a carry-all tote. Available White, Black, and Yellow.